The years seemed to fly by quickly, and your little one is now ready to take on the challenge of entering into kindergarten. 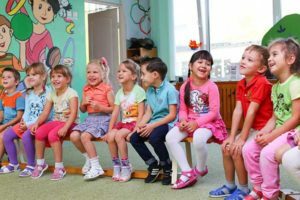 If your child was in Wilmington child care, your child may already know some of the basic kindergarten readiness skills. There are many ways you can prepare your child for kindergarten in order to make sure he or she does not fall behind. These 17 kindergarten readiness activities will ensure your child is ready to go. 1. Identify some of the letters in the alphabet. Kindergarten readiness is seen in your child’s ability to read or tell the difference between various letters. The more the merrier; however, a basic understanding of some letters will go a long way. 2. Whether your child is writing with a pencil, pen, or marker, it is very important for them to be able to hold their tool. You can prepare your child for kindergarten best by laying crayons on the table and having him or her pick each one up to write. Correct their holding position, and allow them to repeat the motions for each new color. 3. Teach your child to write their first and last name. If possible, teach them how to use upper and lowercase letters. Even if your child is not able to write long words, they will need to write their name on papers and work. 4. Break away from your child. Separation anxiety is something a lot of children (and parents) encounter. Your child needs to be able to function without you around. Kindergarten readiness programs are available to help. Parents can drop children off for a couple hours so they can get used to the change. Being away from you is something your child needs to practice. 5. Make sure your little one is able to put on their own clothing. Although it is unlikely that children will need to practice these skills at school, they need to know how to do it just in case. 6. Playing alone or in small groups for up to ten minutes will ensure your little one excels in the learning environment. 7. Teach your child their birthday, phone number, full name, and address. Your child should be able to repeat this information back to a teacher. 8. You will not be at school each day to clean up after your child. Your child will need to know how to clean up their own toys and tools after using them. 9. Potty training and managing restroom needs are crucial skills for getting through each day in kindergarten. Your child should be able to recognize when they need to go, and they should be able to go and use the restrooms without supervision. 10. Your child should be able to follow basic directions. Since the teacher tells children to raise their hands when they have a question, your child should know how to do this and follow these simple directions. 11. Teach your child to count to ten. Use fingers, objects or a number line to ensure they knows the basics. 12. Make sure your child knows how to bounce a ball. Motor skills need to be at a level that will ensure they do not struggle in gym class or in classroom activities. 13. Your child should be able to rhyme basic words. Dog and log should not have your child’s mind in a fog. 14. Categorize objects by size, shape or type. Your child should be able to determine which object is bigger or smaller. Teach your child how to divide blocks by colors, and determine the odd object in a set (i.e. : square, rectangle, and triangle — four sides vs. three). 15. Your child should be able to recognize sight words, such as “stop” and “go”. Use stop signs or traffic lights to teach your child the different meanings. 16. Make sure your child knows how to speak complete sentences. Even a basic statement like “the ball is red” is good enough to ensure they are ready to go. 17. Teach your child how to remain quiet during story time. Kindergarten involves a lot of reading, especially on the teacher’s part. Your child will need to sit in groups and listen to the story and may be required to answer basic questions about the story. It is important for your child to remain quiet so all students are able to listen to and understand the story. Making sure your child does not fall behind is crucial for developing a successful pathway through his or her educational journey. Practicing all seventeen of these steps will guarantee your little one is ready to go on the first day of kindergarten. 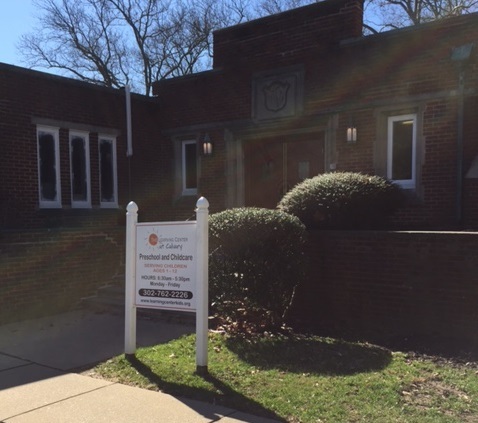 You can also enroll your child in a Pre-Kindergarten program at The Learning Center in Calvary. Each student in our Pre-K program graduates with all the skills they will need for success in Kindergarten. Contact us to learn more about this amazing program. It’ll probably be another year before my daughter starts kindergarten. That worries me a little since I’m not sure how she’ll adjust. However, these were some great suggestions to help prepare for that day. It seems helpful, especially since I do agree that my child needs to be able to function without me around.